If you like to keep your tools well organized, then you know that keeping them in drawers or boxes doesn’t always do the trick. It’s super important to have your items at hand because no one likes to spend precious time trying to find something that might be misplaced. 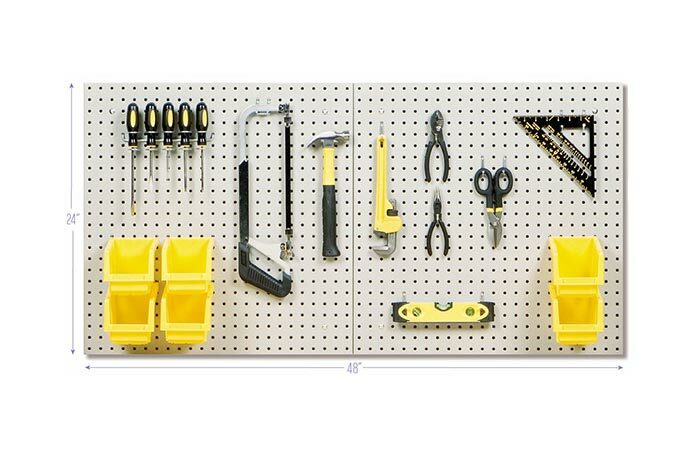 Today, we have a solution for better organizing your garage- the Barrett 31 Piece Pegboard. This board consists of two pieces that when set together can fit your screwdrivers, measuring tape, scissors and all sorts of other tools and handyman necessities. The board itself is constructed out of heavy duty steel treated with a powder steel coated finish. On it, you’ll find 23 pegboard hooks, 6 yellow bins, and 2 panels. 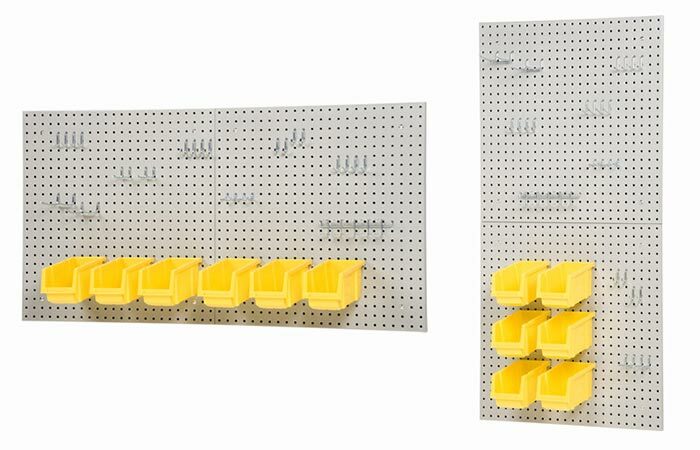 This two piece pegboard measures 24 x 48 inches. It contains 23 pegboard hooks and 6 yellow bins. The pegs come in a variety of types – curved, straights, double prongs, curved double prongs, plier holder, and multi-tool holder. As for the bins, they are great for storing nuts and bolts. Of course, the Barrett Pegboard has appropriate wall-mounting hardware so you can hang it on the wall of your garage or workshop easily. Get it from Wayfair here. You can arrange and mount the boards in two ways – either vertically or horizontally.